With 3 ingredients and no special equipment, you can make a healthier version of your favorite elementary school snack at home. Miranda Keyes will show you how. Back in grade school, the only one thing I looked forward to more at recess than hanging off the monkey bars was the possibility of finding a Fruit Roll-Up in my backpack. I could unravel a tasty treat and spend the rest of recess ignoring my friends playing jump rope. I thought I had left Fruit Roll-Ups, like recess, in the past. 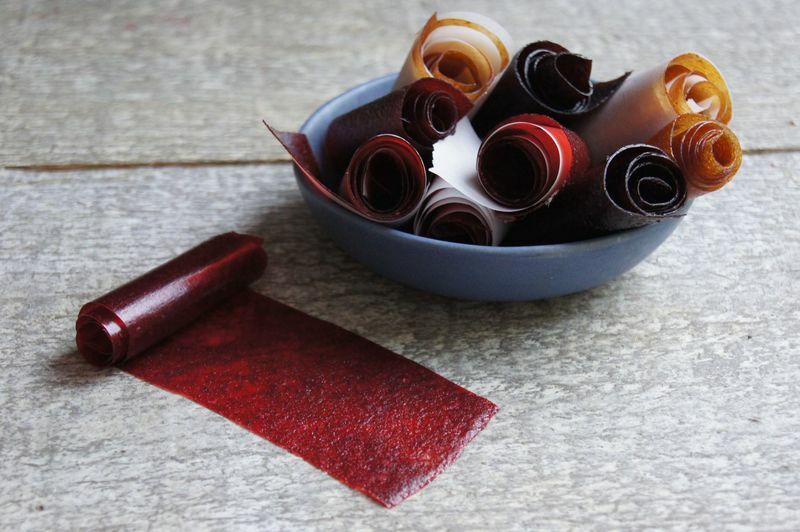 But, good news, kids: Now you can make your own roll-ups at home and, dare I say it, they are actually kind of good for you (or at least a whole lot better then their grocery store counterpart). Homemade roll-ups are packed with fruit—and there's no artificial color in sight. All you need is fresh fruit (in-season produce makes the best tasting roll ups), a squirt of honey, some lemon juice, and a bit of patience. You can swap in just about any fruit you like, so go with what’s in season near you. 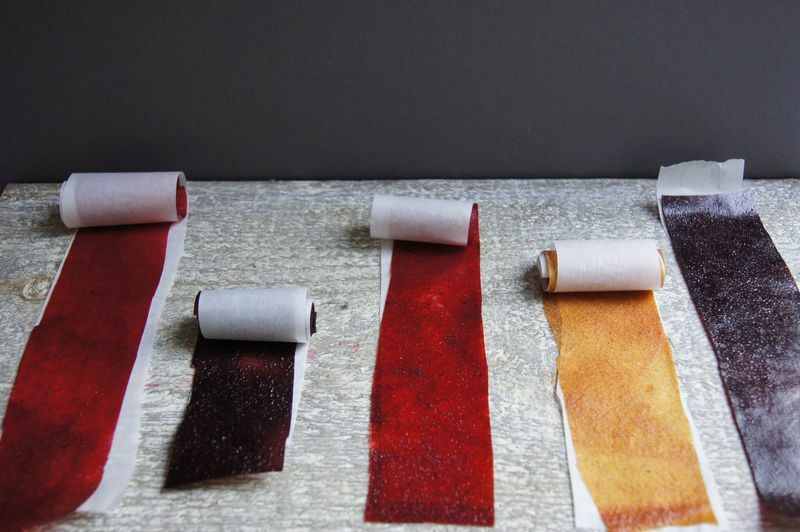 Fruit roll ups can take the better part of three hours in the oven. I recommend making a double batch: With two trays going at once, you can get the most out of your oven being on for so long. They are truly very simple to make and are the perfect afternoon snack, even if you don’t have recess. Tip: You can use all different types of fruit. Try peach roll-ups with 6 peaches (about 1 pound) or blueberry roll-ups using 4 cups fresh blueberries. Preheat the oven to 200° F (100° C). 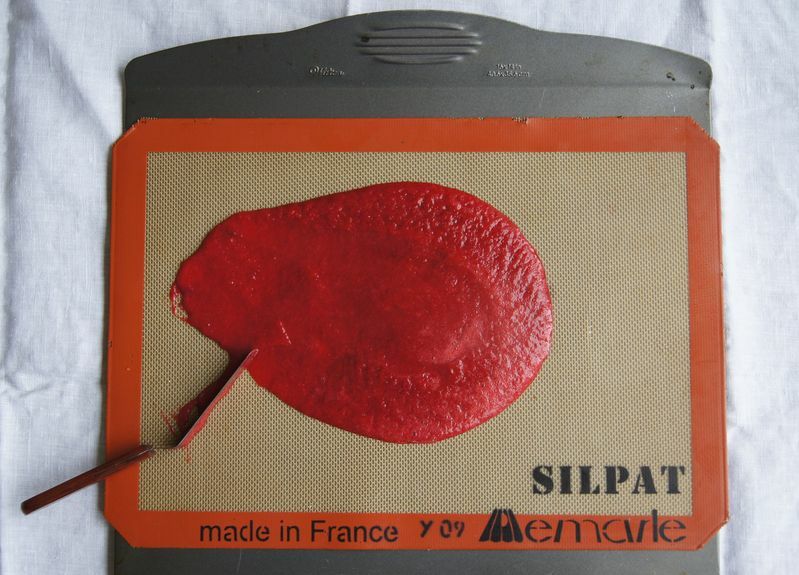 Line a baking sheet with lightly greased parchment paper or a Silicone baking mat. 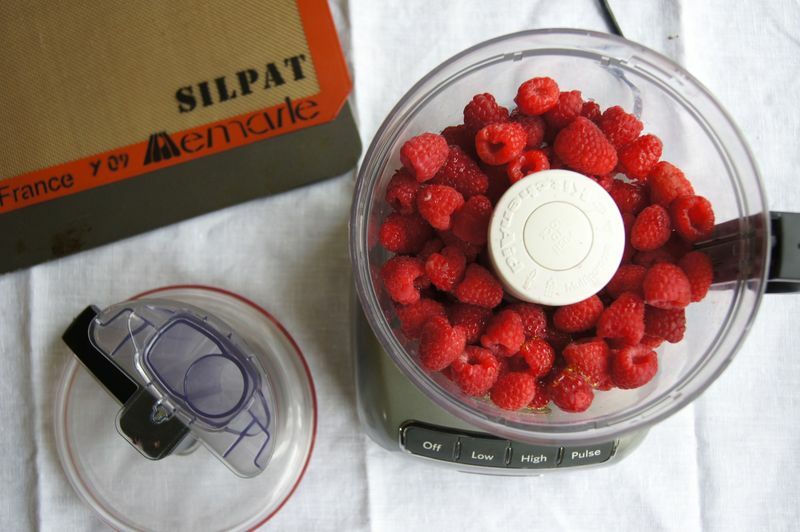 In a blender or food processor, combine raspberries, honey, and lemon juice. Purée until smooth. You could pour this purée straight onto your baking sheet and pop it into the oven, but the cooking time would take about 8 hours. For a quicker cook time, it helps to reduce the purée on the stovetop. 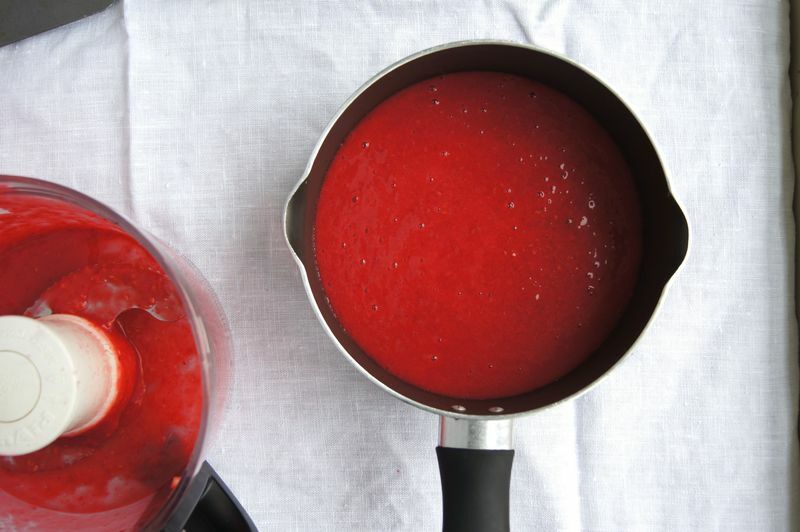 Pour purée through a sieve and into a medium-sized saucepan. Use a ladle to push the purée through the sieve if necessary. Bring the mixture to a boil over medium-high heat. Reduce heat to low and simmer, stirring often, until the mixture has thickened, about 20 to 30 minutes. Spread the mixture onto the prepared baking sheet. Use an off-set spatula to spread the mixture into a thin even layer. It is important to have an even layer as thicker spots will take longer to cook. Place in the oven and bake until the Fruit Roll-Up is no longer sticky to the touch—this will take anywhere between 2 1/2 to 3 hours. The mixture will still be slightly tacky to the touch but no longer wet. Turn the oven off and leave the sheet in the oven to cool completely. 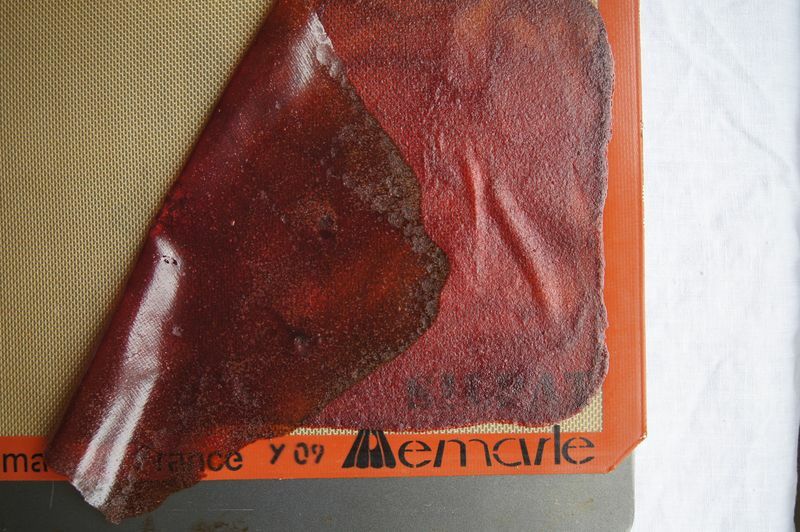 Remove the baking sheet from the oven and invert the roll-up onto a piece of parchment paper. Peel the fruit layer from the baking mat and cut it into long strips. Roll up using parchment paper. 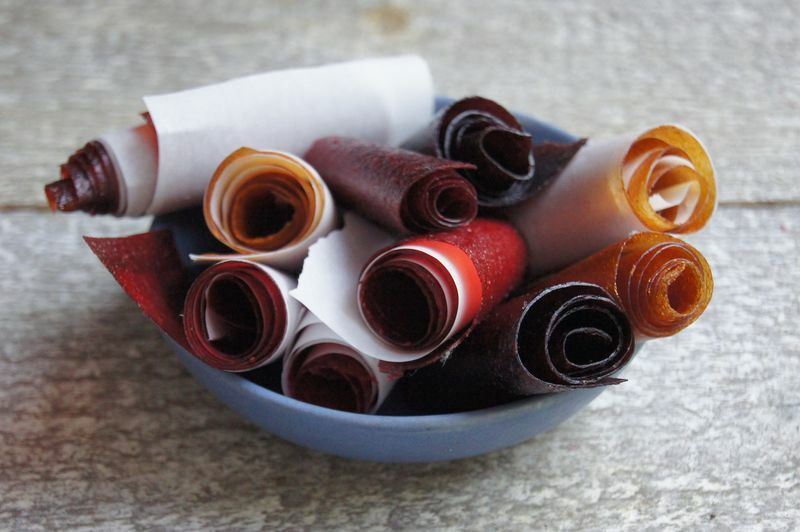 I have been making fruit roll ups to use up a glut of canned peaches and apples. Add spices if it makes sense. I use vanilla bean in some of these. Also savory ones really work well. Like Tomato puree from sweet summer tomatoes with basil a bit of basil in the puree. 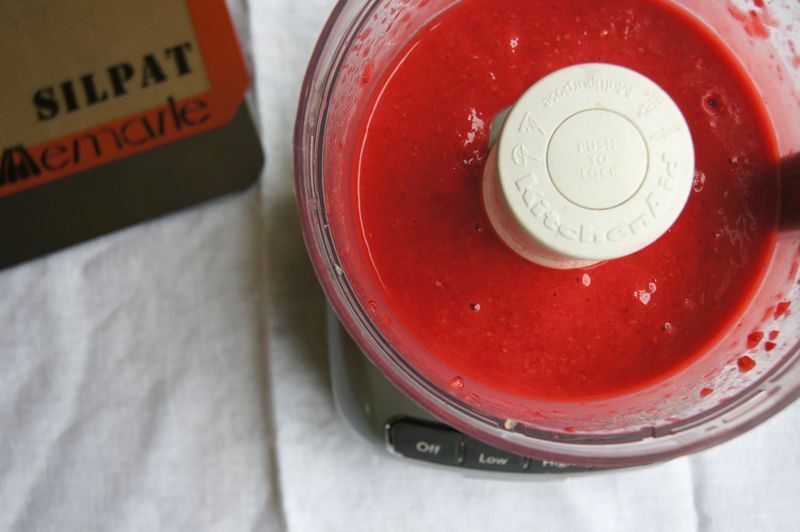 I use citric acid and honey to balance sweet and tart flavors in the puree. Do they stay soft or get hard quickly? What is the best way to store them? Maybe it would work to roll up the big sheet with the parchment paper and then cut the big roll into fruit roll-up sized sections? Maybe it would work to roll up the sheet with the parchment all at once and cut the big roll into fruit roll-up sections? Oh I love this recipe! certainly going to try it for my kids!! For the glut of peaches sitting on my counter. Think I will take camping on the long weekend.